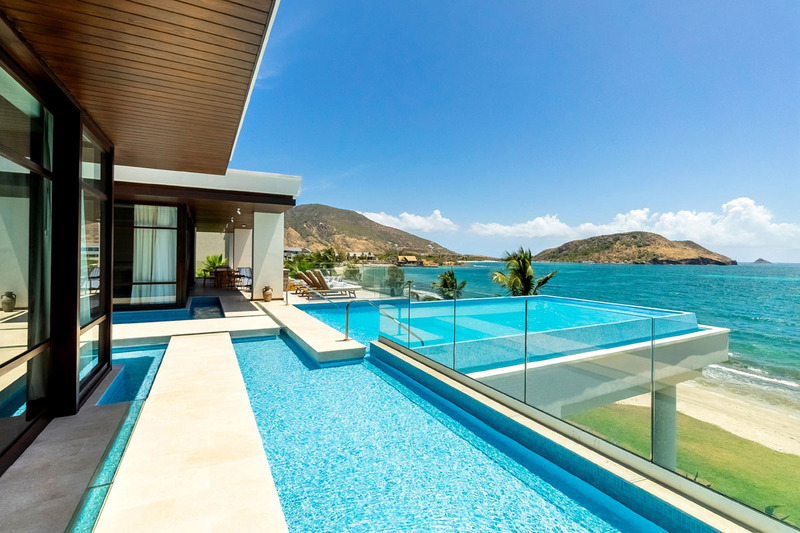 Take an exclusive look inside the $6,000 a night Presidential Villa at Park Hyatt St. Kitts. Located within the Christophe Harbour development on Banana Bay in the most natural and untouched region of this beautiful Caribbean island, Park Hyatt St. Kitts, a new luxury five-star resort, introduces the unparalleled Park Hyatt experience for discerning leisure travelers to this idyllic dream destination in the West Indies. With the majestic “Nevis View,” the three-bedroom Park Hyatt St. Kitts Presidential Villa is 5,210 square feet of luxury. 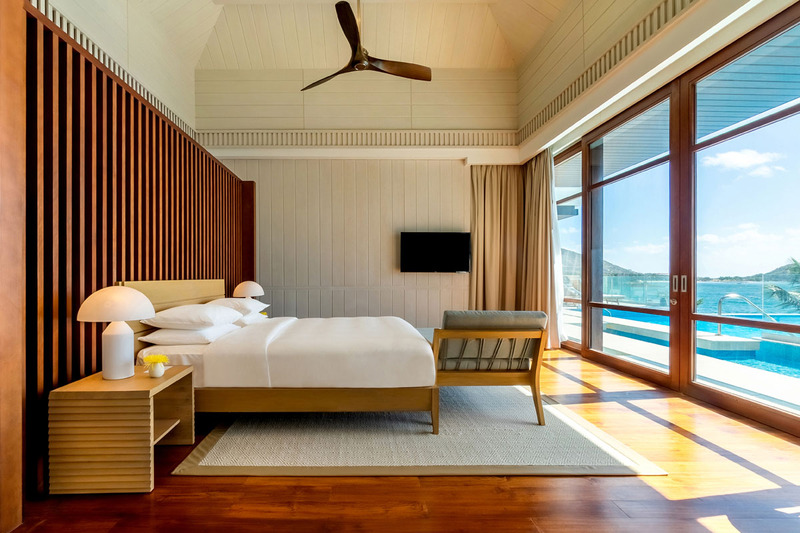 The master has a king bed suite a with ensuite bathroom featuring a double rain shower and deep oversized soaking tub. The second bedroom is a double queen room also with ensuite bathroom and the third a king bedded room with private bathroom. All these rooms have high-quality furnishings and top of the range toiletries. Including butler service and a private chef, the $6,000 a night villa is the ultimate in luxury travel. 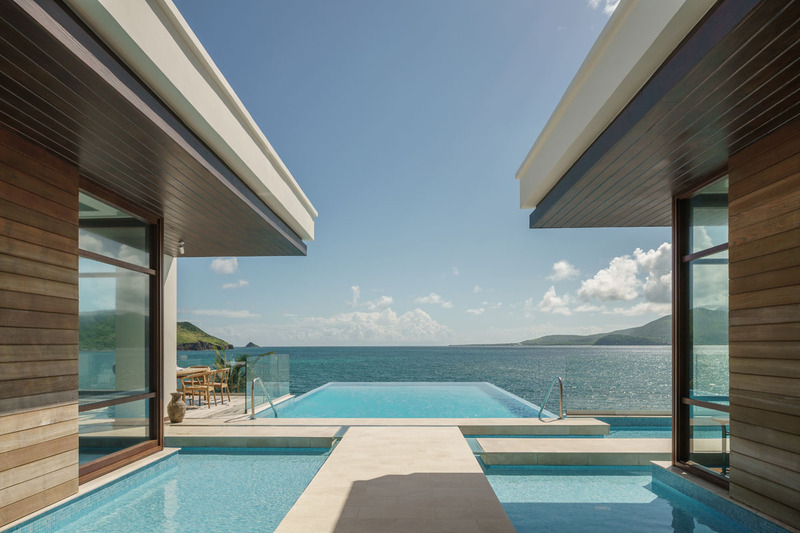 The Villa also consists of a private health club, pool table and game room as a well as a 25 foot infinity pool stretching out towards the straits between St. Kitts and neighboring island of Nevis. Guests of the Villa have access to a dedicated butler and private chef who will create bespoke meals under the guidance of the resort’s Executive Chef. Live like royalty in the lap of luxury at the Park Hyatt St. Kitts Presidential Villa.